"You can't change a cobra's stripes," says Sheriff Ozze Knezovich. One thing the Spokane Republican Party can never say: that they hadn't been told. Years before Cecily Wright hosted a white supremacist to speak at a right-wing gathering, before furious party members expressed their disappointment, before she resigned as chair, Wright was well known as a controversial figure. In 2014 and 2015, Wright, along with Spokane Valley Rep. Matt Shea, was locked in a feud with Spokane Sheriff Ozzie Knezovich. Part of the conflict had to do with differing views on whether "police militarization" existed — or was a problem. But Shea and Wright also believed Knezovich had it out for "constitutionalists." As Knezovich slammed Wright for being too close with the fringe — even accusing her of putting some of his deputies in danger with her rhetoric — she objected. 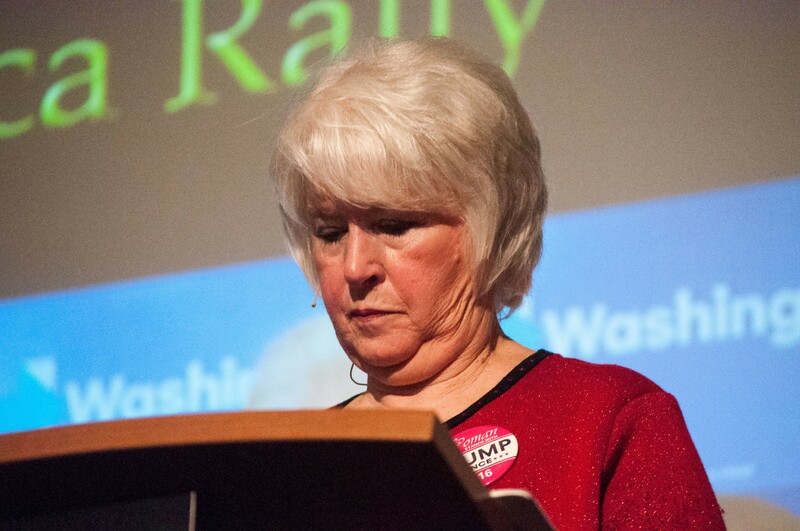 Knezovich was wrong, she said, for comparing Wright's Northwest Grassroots group to racists and extremists. "Those are the sovereign citizens. Those are white supremacists. Those are Nazis. Those are nutjobs," Wright told the Inlander. "The line has totally been blurred." Wright and her husband, John Charleston, suggested they had been victimized by Knezovich conflating their groups with racists and dangerous extremists. "People would come up to me and say, 'Are you guys the hate group that Sheriff Knezovich was talking about?'" Charleston said. "And we would say, 'Yes.' And they'd just shake their head and wonder why." "I guess every organization has to have their Jiminy Cricket," the sheriff says. "I guess I'm that cricket." Three years later, Wright was standing in front of the Northwest Grassroots group introducing a white supremacist by claiming he was a victim of "label-lynching." 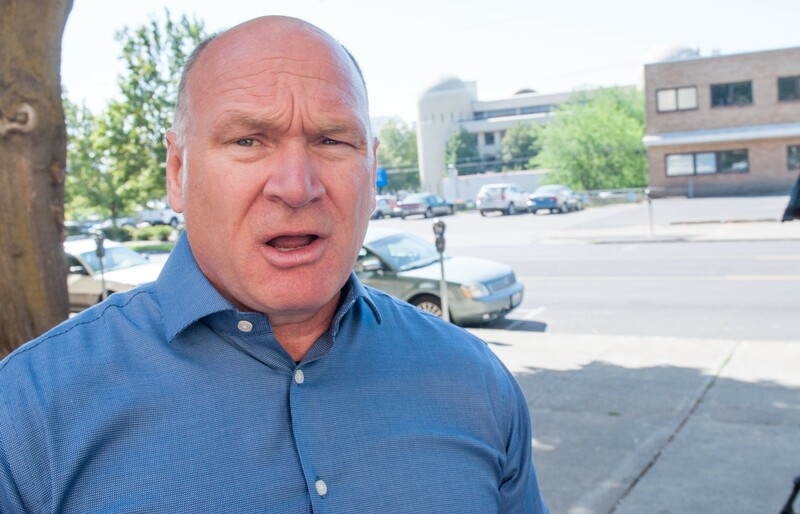 Today, standing in front of the courthouse with Republicans like Washington state Sen. Mike Baumgartner, a steamed Knezovich got a chance to issue a flurry of told-you-so's. "I am angry. This should never have happened," Knezovich says. "People should have seen this one coming." He suggests it's often been up to him to be the conscience of the party. "I guess every organization has to have their Jiminy Cricket," Knezovich says. "I guess I'm that cricket. Mr. Allsup will never have a foothold in the party as long as I’m part of it." Knezovich says that he not only helped organize the Republican event this morning denouncing racism, he was one of the forces pushing for Wright's resignation. “It was Republicans across the nation. It was Republicans across the state. And it was my effort ... to say 'no more,' and to wake people up," Knezovich says. "It got tenuous last night. I went, 'Either she resigns or she will see the biggest campaign I can mount to get rid of her.'" Knezovich says there was pressure from Rep. Cathy McMorris Rodgers' team as well for Wright to be ousted. "They don't like Cathy either," Knezovich says about Cecily and her allies. "Because Cathy has stood against them just as well as I have." He waves a Northwest Grassroots-endorsement sheet that endorsed McMorris Rodgers but only to beat Lisa Brown. McMorris Rodgers, the endorsement sheet says, would be dealt with later. "We WILL deal with her and her crony globalist friends shortly," the endorsement list reads. He's also upset about the fact that, on the endorsement list, the Grassroots group acted like he was an equivalent choice to his opponent, DumpOzzie DotCom. "Ozzie or Insanity?" the Northwest Grassroot release reads. "It’s actually a thoughtful question." It's the Northwest Grassroots, Knezovich says, that are the insane ones. "What they have done is insane. No group would invite this guy had they listened to his rhetoric," Knezovich says. "Cecily, before they did this, talked all about him. How bad he was. Then why bring him in? I know for a fact that she knew that this was coming. She could have stopped it. She chose not to." Ozzie Knezovich gets ready to speak at a 2017 pro-Trump rally. He was introduced by Cecily Wright. The long-running divide within the Spokane GOP, he says, isn't just about personalities. "I've grown tired of the media going, 'Oh, this is just a fight between Matt [Shea] and Ozzie," Knezovich says. "No. This is a fight between this ideology. This ideology is dangerous, and if we do not address it, it will eventually hurt this community and this nation." For a long time, Knezovich says, it felt like he was almost fighting the group alone. "There were Republicans that would stand behind you. There were Republicans who were 'right beyond you,' but they were way behind you," Knezovich says. "And there were Republicans who tried to paint me as a problem." "It seems like now everybody wants to step up. Because they've stepped way over the line. They've hung right next to that line," he says. "This time they've crossed the line. I knew it wouldn't be long." And yet, a year and a half ago Wright was giving Knezovich an enthusiastic introduction at a pro-Trump rally. "People might ask, how did she end up being elected chair?" Knezovich says. "It was simple. Both factions, there were very good people on both sides that wanted this war — if you will — to stop. Well, we gave it a shot. We knew it was doomed to begin with. But I said, I will give it a shot." "You can't change a cobra's stripes," Knezovich says. "You just can't. It will eventually bite you." Still, Knezovich says he was tipped off that Allsup was coming to the Grassroots event. "I was given a phone call and told that he was going to be speaking at Northwest Grassroots," Knezovich says. "I said, this is a very, very bad idea. This is not going to go well. He does not represent any of our values." But he says that he didn't feel like he had a way to stop it. "What can you do?" Knezovich says. "I don't belong to the club. They don't like me. So — nothing I can do." The Inlander suggest that Knezovich could have, of course, called the Inlander. "I guess I could have called you," Knezovich says. "You weren't on my mind at that point." 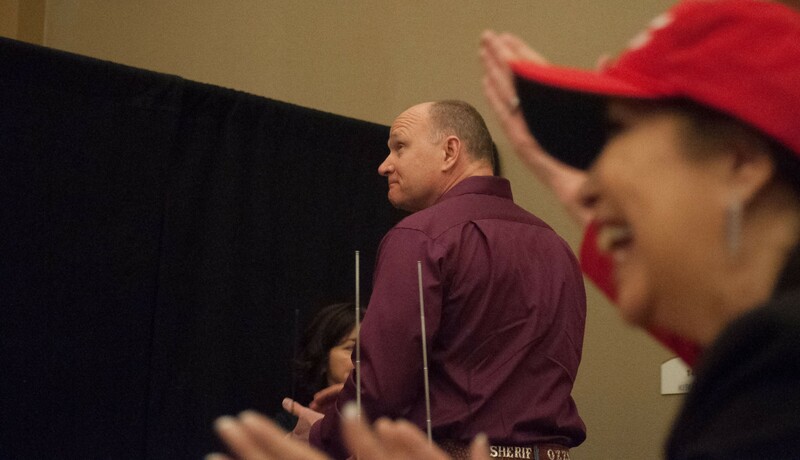 Spokane County Treasurer Rob Chase applauds Knezovich at a 2017 Trump Rally. So how does this sort of thing keep happening to Republicans across the country? Why Republicans? “[White supremacists] see the opportunity because Republicans have always had a big-tent party. But there are Republicans who don’t fit in that tent. And James Allsup is one of them. You do have a core group that are in that fringe element," Knezovich says. And Northwest Grassroots, he says, is part of that element. "Northwest Grassroots is not a Republican club. They're John Birch Libertarians," Knezovich says. "It is so bad that there are business leaders out in the Valley that want that group gone." He notes that political figures like Spokane Valley Mayor Rod Higgins, Valley councilmembers Arne Woodard and Sam Wood are frequent attendees at the meetings. "They actually tout some of the garbage that group stands for," Knezovich says. 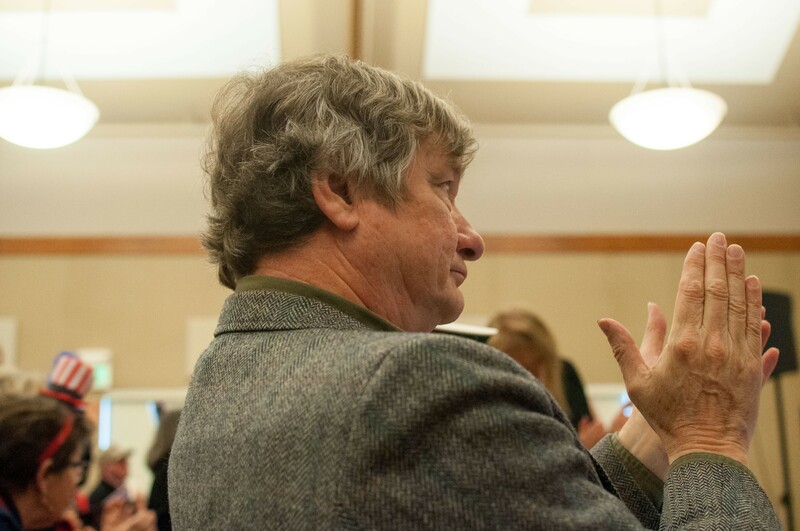 "[Spokane County Treasurer] Rob Chase is a huge factor in that group. So is Matt Shea." Former Spokane Valley Councilmember Ed Pace even recently put out a Facebook post defending Wright. Knezovich says he will put pressure on Chase and Higgins. "It's my intent to ask the [Spokane Valley] mayor and Mr. Chase to denounce Grassroots and quit attending their meetings," Knezovich says. "They do not represent traditional Republican values." For his part, Knezovich says that he views the term "label-lynching" — used by both Wright and Shea — as a horrible choice of words. "Horribly offensive," Knezovich says. "They don't take into the context of how people who have actually been lynched would take that." And yet Knezovich also holds a certain degree of sympathy for some of the ideas behind the concept. "From all sides, there are a whole bunch of people who like to throw labels all the times. It's gettin' to be ridiculous," Knezovich says. "You can't continue to throw a label at everybody, because when the true racist shows up, nobody recognizes him." Knezovich himself has been under fire for controversial comments. Knezovich was heavily criticized after, his speech at the 2017 Trump rally, where he blamed Obama’s rhetoric for the spate of assassinations against law enforcement officers. There's more evidence that Republicans should have known what they're getting: Allsup isn't the first outright racist speaker to be posted on Wright's Northwest Grassroots page. In 2015, the Inlander pressed Wright on the decision to upload a video on the Northwest Grassroots page of Pastor John Weaver — who has defended slavery, celebrated the Confederacy and opposed interracial marriage — speaking in Spokane. The Northwest Grassroots page suggested that Weaver, "a true Christian Patriot," had been falsely smeared by the Southern Poverty Law Center and praised his “Truth About The Confederate Battle Flag” sermon. But Wright defended her decision. "Is there anything offensive that we have in the video that we have on our website?" Wright says. "There's nothing that infers or insinuates or anything of that type of thing with Pastor Weaver. We checked him out also, he is on the SPLC list. However, the message he had that evening is not along those lines." Weaver's racist past, she argued, shouldn't necessarily mean that he was racist now. "I do believe that he probably could be, or at least at one time was, a racist; there was nothing that evening where he said anything, where I said, 'Hey, we're not putting that one up,'" Wright said. Similarly, in that interview, Wright and her husband, John Charleston, insisted that their Grassroots Movie Nights didn't include conspiracy theories. The Inlander pointed out that the group had just held a screening of a movie warning about chemtrails.